Think about yourself as a brand, not just a product. Who are you? Why are you here? What are your goals, what are your gaps? And lastly, what is your story? Products are boring. Products are generic. In times of digitalization and online stores without borders, it’s easy to find a replacement for almost anything. That’s why these days selling just a product is not enough. But don’t worry – you still have something else you can sell. It’s your story. Stories are personal; they bring a customer closer by engaging and giving them a sense of belonging. Here are a few questions to ask yourself and steps to take in order to connect better with your audience and become a great storyteller. The first question you should ask yourself is why you decided to create this particular product? Was it a personal need? Did you hear from your friends that there is a market gap? People love local businesses and the inspiring stories behind them. By showing you’re just a team of ordinary people who decided to take a risk and make something awesome, you create that special bond with your customers. Take a look at Sugru. It’s the world’s first moldable glue producer. Their product is innovative and different, but they also highlight it with their story. 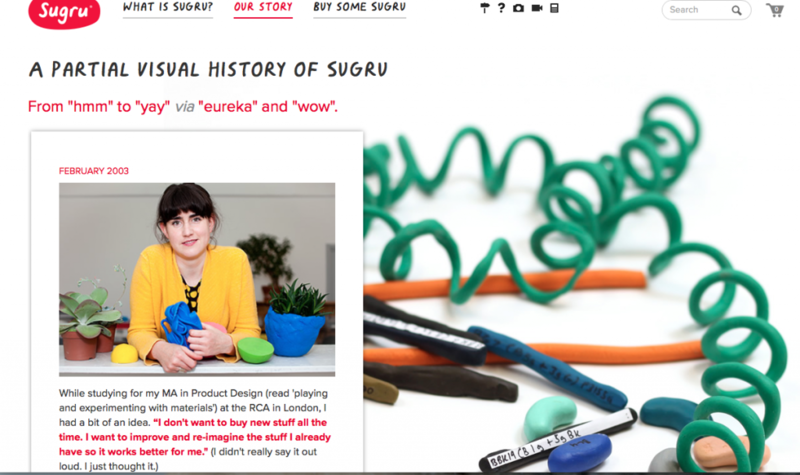 On the website, you can find their entire story that started with an idea in Feb 2003 up to 2016, when Sugru became a brand recognized worldwide. Their story is detailed using personal ideas, photos, and thoughts. Failures shape you and have a huge impact on who you are and what you create. It’s not shameful to say you failed – it’s important you got up again and learned a lesson from it. You’re human – you can have a bad year, make a wrong decision or trust someone you shouldn’t. If the biggest players are not afraid to say it out loud, you also shouldn’t be. It shows your passion, eagerness and courage. Bill Gates, Walt Disney, Akio Morita (co-founder of Sony) – you name them. They all had failed before they succeeded. There’s nothing bad in joining this crowd. It’s not only about being aware of your failures; it’s also about putting emphasis on your successes. Don’t keep your victories to yourself. Make sure your success is visible, and if you can support it with numbers, that’s even better. Just like you’re proud of your successes, you should also be proud of the people behind them. Give your customers an occasional behind-the-scenes view featuring your staff and the magic they do, where they do it and how they do it. This will give your audience a better chance to relate to your brand. Remember, people relate best to other people. At Prowly we are proud of our people, and we want to show you who makes your tools better every day. Another part of your story is answering the question why you do what you do. Do you have a higher goal? What is your mission? Sure, it’s great if by selling your product you help those less fortunate but that’s not always the case, and that’s also okay. Think about it for a second – if your business was created because there was a gap on the market, in filling this gap you serve people by making their lives easier. There’s always a reason for existing, just take your time and think about it. Being honest is the best thing you can do for your brand. No hidden catches and keep everything as clear as possible. No matter how good your story is when people feel cheated, they won’t come back. 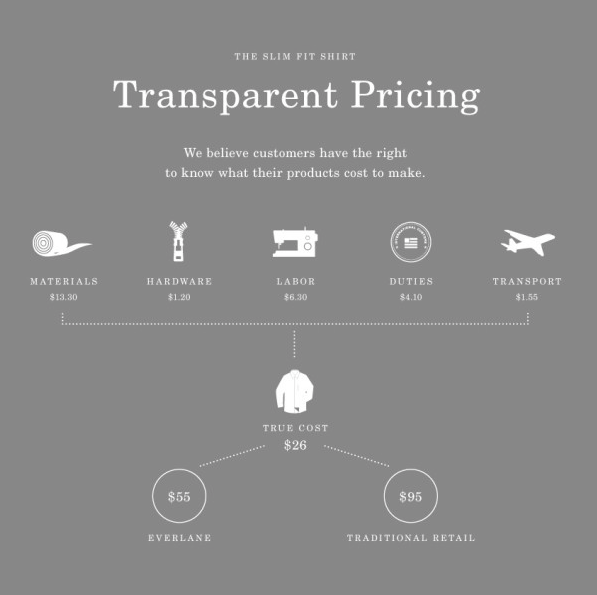 A great example of transparency is the one of Everlane. They make clothing and show the costs that constitute their prices. That way people get the feeling they know what they pay for. Following these 6 steps will help you build your very own story. Every business is special; you just need to know how to put yours in the spotlight. Interview with David Meerman Scott from Prowly.com on Vimeo.